Good lawyers are, first and foremost, good people. We represent clients in civil matters, including personal injury, accidents, real estate and probate. 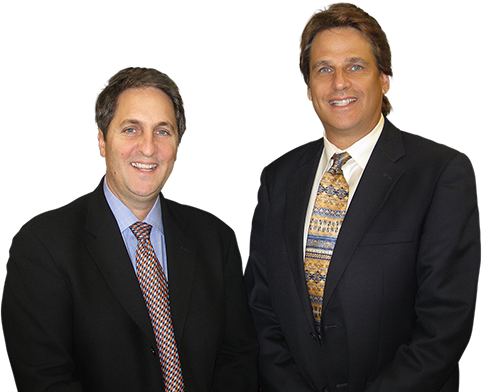 Law partners Alan Sackrin and Larry Tolchinsky have for many years dedicated themselves to helping people who have needed legal assistance in a variety of matters – money, real estate, health, family, home, marriage break-up, personal injuries, lost wages, car accidents, slip and falls, pain and suffering, ability to work, etc. — and with finding justice in Fort Lauderdale, Broward County, and the State of Florida. We are Fort Lauderdale Lawyers but because of our diverse client base we also consider ourselves as Plantation, Florida Lawyers as well as lawyers who serve the people of Wilton Manors, Oakland Park, Lauderdale Lakes, Lauderhill and Pompano Beach and all people throughout Broward County and South Florida. You may hear some people say that all law firms are pretty much the same, and in a way they are right: all lawyers have to practice the same state law: the Florida codes, statutes, and court case law control every Florida claim. However, that’s where the similarity ends – because just like the people they serve, each law firm has its own personality, its own attitudes, and its own reasons for being. At Sackrin & Tolchinsky, partners Alan Sackrin and Larry Tolchinsky take pride in having built a law firm where everyone – lawyers and staff – are not just good at their jobs but of good character and with great hearts. Clients aren’t just files, they’re friends — friends who are hurting and need help. Everyone at Sackrin & Tolchinsky truly cares about what happens to the people who entrust this firm with fighting for their legal rights, especially when these clients have been so recently betrayed by someone or something that they had every right to trust: a vehicle, a doctor, a drug, a food item, a bank, an appraiser, a hospital, a school, a spouse. Betrayal hurts the heart – but more importantly, it can destroy someone’s life. The attorneys and professional staff of Sackrin & Tolchinsky have helped Fort Lauderdale residents suffering real pain from a variety of legal causes, including both physical injuries that may involve long-term, permanent injuries such as traumatic brain injury or spinal cord damage as well as financial injuries that can involve victimization due to things like mortgage loan fraud, foreclosure fraud, appraiser fraud, and other money crises. In many instances, the firm lawyers do not get paid unless and until they resolve the case. The firm lawyers never charge for a consultation with someone. The firm lawyers personally answer queries and questions from the public, never delegating that task to a secretary or paralegal. While Sackrin & Tolchinsky has a centrally located office (for the convenience of their clients in Fort Lauderdale, Broward County, and all of South Florida), they have represented people who lived in other parts of the state of Florida as well as across the country and Canada. To some, they may be Fort Lauderdale Attorneys, but the reality is that the law firm’s attorneys are just as easily labeled: Sunrise Attorneys, Wilton Manors Lawyers, Pompano Beach Lawyers, Tamarac Lawyers, Coconut Creek Lawyers, Cooper City Attorneys or Plantation Florida Lawyers. You get the idea. Every once in a while, the firm’s lawyers add new site information related to areas of Florida law for the benefit of anyone surfing the web and interested in learning more about that topic, which is something that the lawyers and their clients are dealing with at the time. If you, a family member, or a loved one has suffered a life-altering financial injury through foreclosure or fraud, if you or someone love has had a serious personal injury resulting in severe harm or even permanent incapacity, or if you are tragically grieving the loss of an injury victim due to a wrongful death, then please feel free to contact one of the lawyers here at Sackrin & Tolchinsky by phone to schedule a free initial consultation of your possible legal rights and remedies at (954) 522-0207. Or if you prefer to communicate online, then please feel free to fill out the “How Can We Help You?” form above for a no-cost case evaluation – or just to ask a question or two. A lawyer (not a paralegal or secretary) will respond to your message within 24 hours.